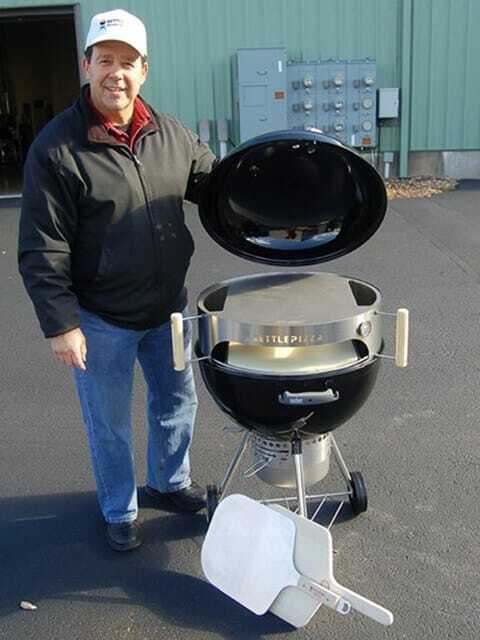 KettlePizza founder, Al Contarino, is an inventor who had a passion for grilling. That passion, however, was often frustrated whenever a grill lid was opened or removed and all the stored heat lost, stalling the cooking process. 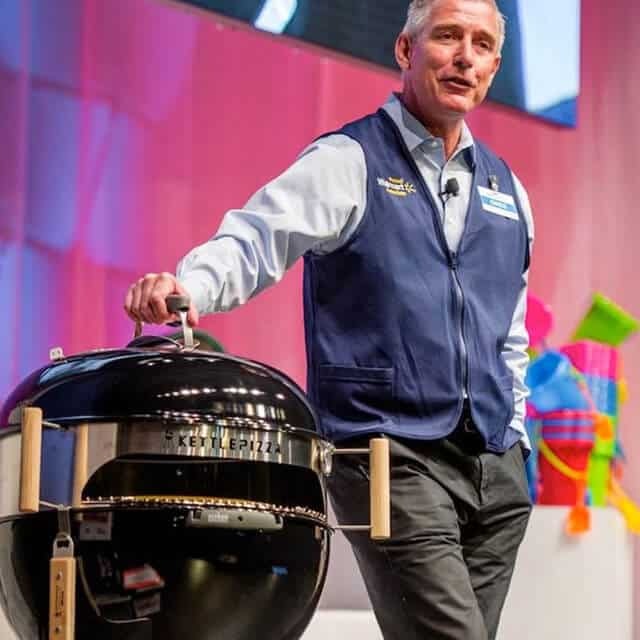 So, in 2005, he started developing a new type of gas grill that maintained the heat despite an open lid. Countless hours and a substantial amount of money went into the patented design in hope of licensing to a major grill manufacturer. Five years later, after Al became completely frustrated with the challenges of the licensing process, he decided to focus his efforts on developing a product that he could design, manufacture and market completely on his own. This new product was KettlePizza. In May of 2010, Al built his first prototype of the KettlePizza. 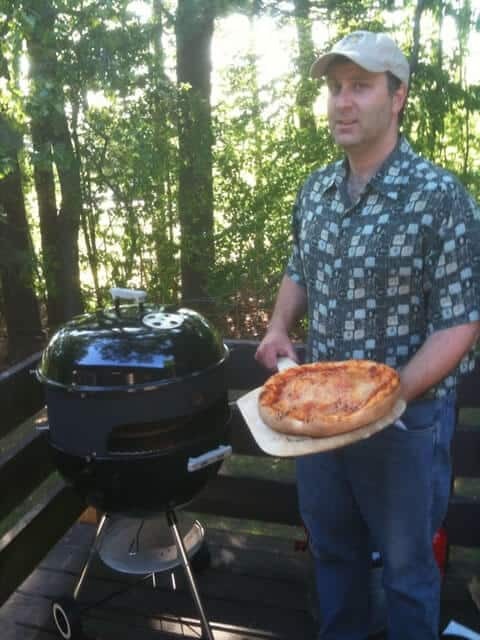 He called his friend and fellow inventor, George Peters, to check out the design of a crude pizza oven insert made to fit on top of common charcoal kettle grills. The prototype seemed to solve the problem of maintaining high temperatures throughout the cooking process, and so they decided to invite some friends over for a pizza party. Everyone loved the pizza and the concept. That was all that Al and George needed to hear; they knew they had a winner. In the upcoming months, Al and George took on the challenge to design, manufacture and sell the KettlePizza right out of Al’s barn in Massachusetts. They made the challenge even harder by pledging to source as many of the KettlePizza components as possible from American suppliers. 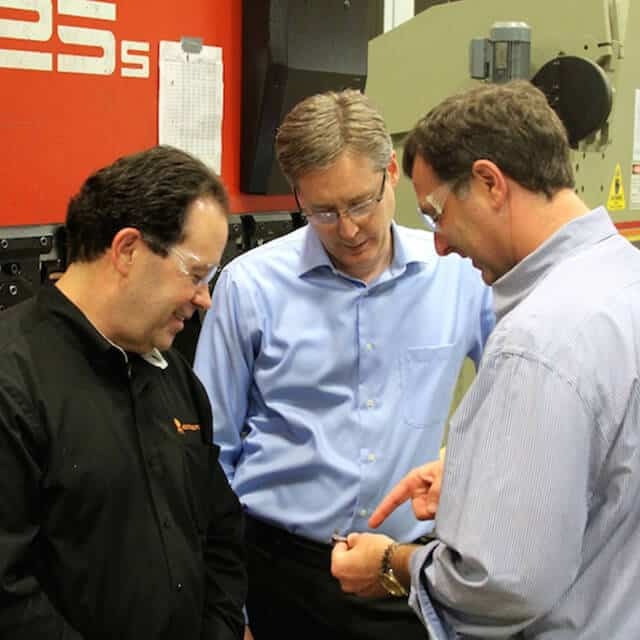 The goal was not just to build a product and a company, but to create U.S. jobs. KettlePizza has grown and now is shipping products around the world. 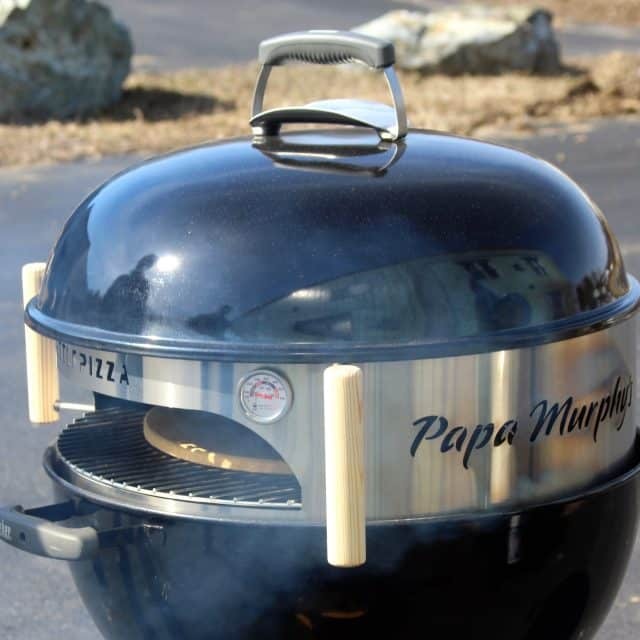 We have expanded our product line into pizza accessories as well as products for the gas grill market. Proud to be a “net exporter,” we’re helping to balance the U.S. trade deficit. 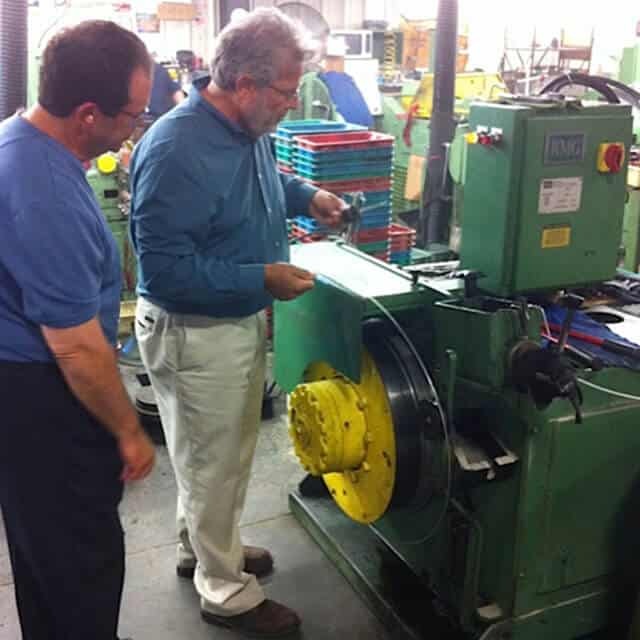 We believe manufacturing in the United States is still, and has always been, very important. Over the years, there has been a steady decline in manufacturing jobs, and fewer and fewer people look to manufacturing for future employment. One big problem is that manufacturing is directly connected to design, engineering and innovation. In our opinion, innovation is one of the things that makes our country great and one of the things that will keep our economy growing. 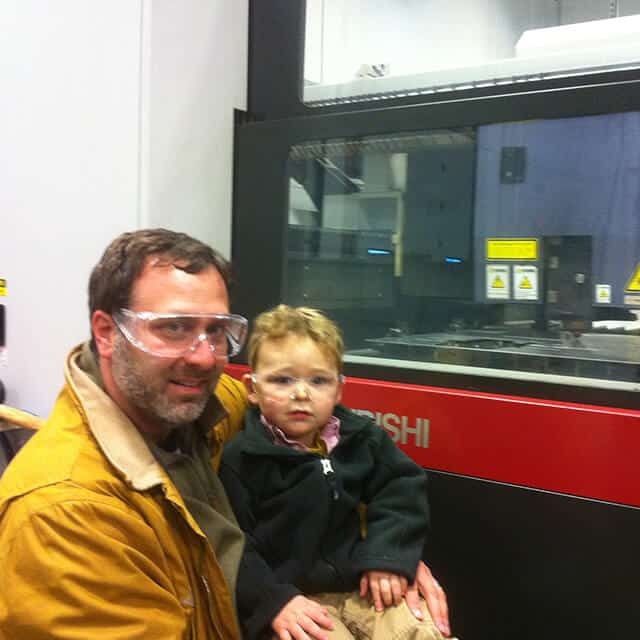 We feel that staying committed to American manufacturing will help our country. It is our way of giving back. If you have a moment, check out the video below emphasizing the importance of U.S. manufacturing to the U.S. economy. Since we do our own manufacturing, we have the ability to customize by laser etching or cutting your company logo directly onto our KettlePizza oven inserts. A minimum quantity run for this type of work is usually 50-100 pieces. For information contact us at info@kettlepizza.com. If you are not happy with your purchase just contact us for your money back. It’s that easy!